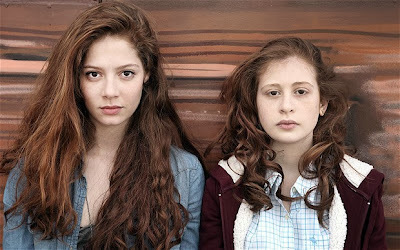 The Returned (aka Les Revenants), one of the SFF TV highlights of the year, will start airing tonight in the United States. It will air at 9pm on the Sundance Channel. If you have access to it, I definitely recommend checking it out. It's definitely one of the strongest SF TV shows of this year. Season 2 of The Returned will air in France in 2014, with Channel 4 in the UK expected to air it shortly afterwards. Mahala is under siege. The Storad are poised to storm the city and seize its monopoly on trade across the continent. The Archdeacon is powerless to stop the cardinals and other high-ranking members of the city's elite from fleeing. It falls to Rojan Dizon and his accomplices to find a way of saving the vertical city or seeing it destroyed. Concluding the Rojan Dizon trilogy, Last to Rise picks up on dangling plot threads from Fade to Black and Before the Fall and attempts to tie them together nicely in a suitably epic conclusion. It more or less succeeds. Character arcs are concluded - in some cases rather tragically - and the underlying social and economic problems of the city are used to fuel a transformative finale. Knight continues to build on the successes of the previous volume: Rojan Dizon's character growth into a more mature individual continues and there is further development of the worldbuilding and feel of the city, which actually feels more like a place where people could live and work now than in the first volume, when it felt like a bit more of a painted backdrop. The magic system continues to be innovative and well-thought-out (and it's a nice twist that Rojan actually can't use anywhere near as much of it as the other, more inexperienced mages due to his own psychological issues). Where the book falters is its pacing and how it impacts on the characters. There's a huge amount of plot going on here and this pushes some of the supporting cast into the background. 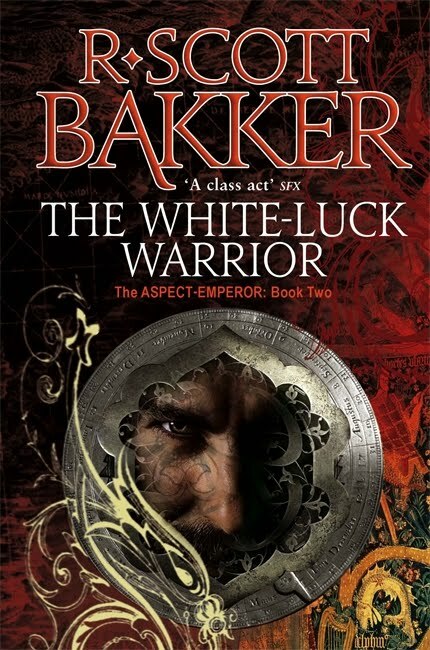 Most surprisingly, we still get very little in the way of appearances from Jake, one of the major and more interesting characters of the first novel, who has now been relegated firmly to the sidelines. The ending of the novel is interestingly ambiguous, balancing tragedy with moments of triumph, and leaves things open-ended enough so that future books with these characters remains possible. But for now, this is a reasonably satisfying ending. 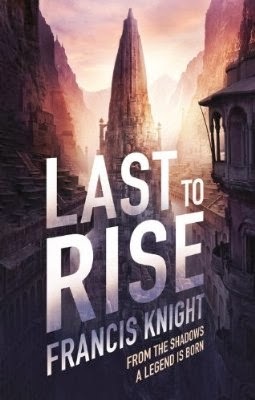 Last to Rise (***½) is a worthy conclusion to an intriguing debut trilogy. The book will be released in the UK and USA on 26 November. Way back in the day I reviewed Peadar Ó Guilín's debut novel, The Inferior, the first book in the Bone World Trilogy. It was an excellent read and one of the highlights of 2007. The second novel, The Deserter, was published in 2011. Unfortunately, despite excellent reviews, the first two books in the series did not sell as well as expected. As a result, Random House have dropped plans to publish the concluding volume of the trilogy, The Volunteer (which seems a bit short-sighted in these days when so many people wait for a series to be fully published before reading it). Fortunately, the author will still be publishing the book as an ebook in 2014. Random House will also be publishing a new, stand alone dystopian novel from Ó Guilín, Eat the Drink, in May 2015. Tor Books have announced that they have signed two new Mistborn novels from Brandon Sanderson. These two books will continue the adventures of Wax and Wayne, who first appeared in The Alloy of Law. The first of the new books, Shadows of Self, is already partially written and will be published at the end of 2014, with the third book following a year later. Sanderson will continue to write Stormlight Archive novels in the meantime, with the second, Words of Radiance, due to come out in March 2014. 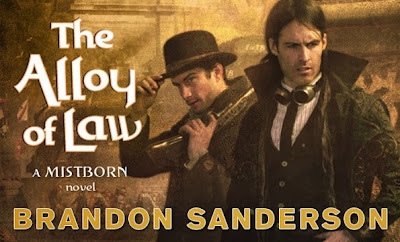 Whilst the new Mistborn books will be somewhat self-contained, they will foreshadow the second proper Mistborn trilogy which will be set 75 years after the events of the Wax and Wayne books. A trailer has been released for Days of Future Past, the next X-Men film. This film will combine the original cast of the 2000-2006 trilogy of films with the cast of First Class, playing their younger selves. Time travel will be used to bring the two groups together to face off against a greater threat. Returning are Patrick Stewart and James McAvoy as Professor Xavier and Ian McKellan and Michael Fassbender as Magneto. Hugh Jackman also returns as Wolverine (thanks to his immortality, they only need the one actor). Anna Pacquin, Ellen Page, Nicholas Hoult, Jennifer Lawrence and Shawn Ashmore also return as Rogue, Kitty Pryde, Beast, Mystique and Iceman respectively. Peter Dinklage (Tyrion from Game of Thrones) is the film's most notable newcomer, playing Professor Bolivar Trask. The Sentinels will play a role in the film as well. Bryan Singer, the director of X-Men and X2, returns to direct. The movie is loosely based on the highly-regarded graphic novel of the same name. The film will be released on 23 May 2014. A group of students from De Montfort University have created a highly-detailed 3D model of London (or at least a large area surrounding Pudding Lane) just prior to the 1666 Great Fire. The model is just for fly-past purposes at the moment, but it could easily be repurposed to a game or some kind of interactive exploration experience. The model was built in CryEngine, the same engine used to create the Crysis series of video games and the forthcoming Star Citizen. 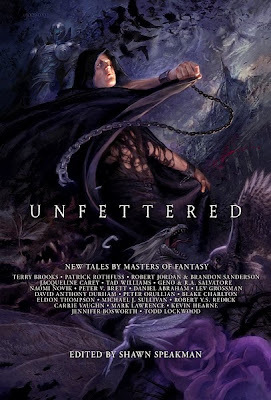 Fantasy author (and well-known fantasy webmaster) Shawn Speakman's fantasy anthology Unfettered has been picked up by Orbit Books for a UK release next year. Unfettered features short stories by Patrick Rothfuss, Brandon Sanderson, Jacqueline Carey, Tad Williams, Naomi Novik, Peter Brett, R.A. Salvatore, Daniel Abraham and Carrie Vaughn, amongst many others. It was released last year in the United States to a good reception. Speakman created the book to help pay for his medical bills after suffering from cancer, with the writers making money back from foreign rights sales. The UK edition of Unfettered will launch on 20 February 2014. Speakman is also working on a sequel to the book, currently untitled but planned for release in 2015. Production of the new Star Wars film, Episode VII, has hit a series of bumps in the road. Scriptwriter Michael Arndt has quit, with director J.J. Abrams moving to co-writing duties alongside veteran Wars writer Lawrence Kasdan. Abrams's own status on the film has also recently been in doubt, with rumours circulating that Abrams was keen on leaving the project. Production has also been delayed by several months, with filming expected to now start in the 'spring' rather than January 2014. What impact this has on the film's release date remains to be seen. The first signs of trouble on the project appeared shortly after J.J. Abrams was confirmed as director. Abrams apparently began moves to delay the film's release to 2016. 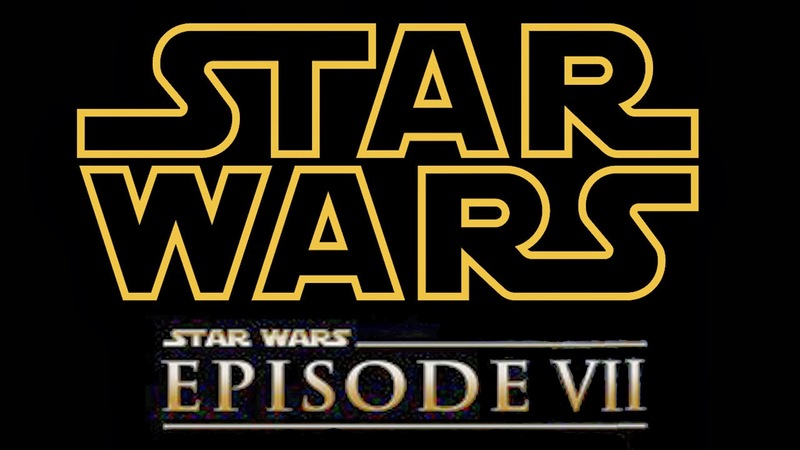 The need to start filming in early 2014 to hit the May 2015 release date meant that the pre-production window would be far shorter than Abrams was used to or comfortable with. Rumours began circulating in July that Abrams was unhappy with the relatively short (for a film of this magnitude) production timetable and was also not keen on relocating his young family to London for the shooting period. Abrams clearly decided to stay, but the fan rumour-mill is working overtime with speculation that greater script control may have been a condition of his remaining on the project; Abrams leaving and having to be replaced would have been a huge blow to the project. Disney and Lucsfilm shot the 2016 idea down almost immediately. More recently there have been rumours that the film will need to be delayed anyway, to at least the end of 2015. Allegedly, these rumours have been coming from the Disney and Lucasfilm camp itself and may be a reflection of more crowded spring/summer 2015 release schedule (The Avengers: Age of Ultron, Man of Steel II and Pirates of the Caribbean 5 are all pencilled in for that time period) as well as giving the production more time. However, officially spring/summer 2015 remains the target date for the film. Arndt's departure is a new blow for the project. Arndt, who worked on Toy Story 3 and wrote Little Miss Sunshine, brought some artistic credibility to what could have been seen as a shameless cash-in film. Apparently Arndt's outline treatment was so good that it got both Lucasfilm and Disney really excited about the film, and got him hired as scriptwriter for Episode VII itself. The combination of Arndt writing and Abrams directing was regarded as promising: Abrams is noted for his visual flair but the quality of his own scriptwriting and that of his regular team (Damon Lindelof, Alex Kurtzman and Roberto Orci) can charitably be described as 'variable'. The news that Arndt is out and Abrams will now be writing himself is likely not to be welcomed with open arms by fans. 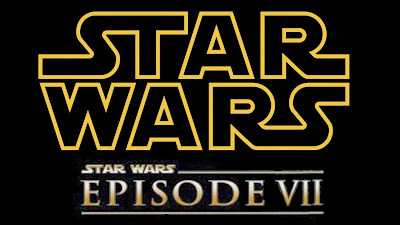 Lawrence Kasdan, who was already advising on the project and was tapped to co-write Episode VIII and possibly one of the planned prequel side-films, will also be stepping up to co-write VII with Abrams. There is some reason for cautious optimism here, as Kasdan co-wrote Raiders of the Lost Ark, The Empire Strikes Back and Return of the Jedi. However, much of his work since Star Wars has been patchy (The Bodyguard is his only notable film since then) and Empire also had script input from veteran SF author Leigh Brackett (who is sadly no longer with us) as well as a fair bit of on-set improvisation from the cast and director Irvin Kershner. Despite personnel issues, the film is still expected to begin shooting in early 2014. Rumours are also gathering that Lucasfilm and Disney may have announcements to make about the film (possibly including casting information) on 30 October. In a surprise move, Andrzej Sapkowski's Polish publishers have confirmed that they will be releasing a new Witcher book (the eighth overall) on 6 November this year. The new book will be called Storm Season and will take place before the events of the five-volume novel series (currently being translated and published in English - with some criticism of the quality of the translation - by Gollancz in the UK). No word on when the new book will make it into English. The Witcher 3: Wild Hunt, the third computer game based on Sapkowski's world, will be released by CDProjekt next year. 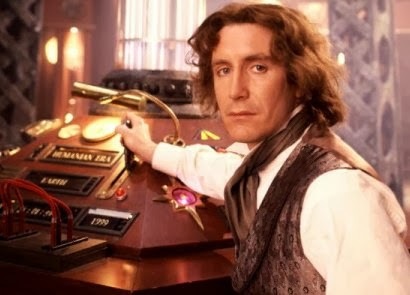 Paul McGann (1959- ) played the Eighth Doctor in just one 90-minute TV movie and a seven-minute 'webisode', making him the Doctor with the least number of on-screen appearances. However, he was regarded as the 'current' Doctor for the period 1996-05 and has also appeared in 66 audio dramas as the Eighth Doctor, the most recent in 2012. When Doctor Who went off the air in 1989, officially it was on a longer-than-normal hiatus that would end once the BBC found an independent production partner to help shoulder the financial burden of making the show. Whilst discussions were held with UK partners, the BBC also spoke to American producers in the hope of making a big-budget show able to compete with the likes of Star Trek. In 1994 the BBC, Universal Pictures and an ex-pat British producer living in Los Angeles, Philip Segal,struck a deal for Segal to develop a script he could shop to American networks. John Leekley, an American studio writer working for Universal, was assigned to write the actual script. The original plan had been for a complete reboot of the Doctor Who continuity, with the new series opening with an origin story for the Doctor. It was with this script that the first casting calls for the new Doctor were held. Despite the reboot concept, Segal was keen to retain a British actor in the title role. Rowan Atkinson and Derek Jacobi were considered for the role, whilst Jim Carrey's name was touted in the press (Carrey's movie career made this highly improbable as a realistic consideration, however). Also auditioning were two relatively unknown actors from Britain (at least in the USA), Mark McGann and his older brother, Paul. After some consideration, Paul McGann won the role. CBS briefly considered the project, but it was eventually picked up by Fox. Fox, unexpectedly, proved keen on retaining the old show's continuity and also assigned a new writer, Matthew Jacobs. Jacobs had an interesting Who connection: his father Anthony had played Doc Holliday in the 1966 serial The Gunfighters and Matthew had visited the set as child. The script was completely re-tooled and now included an opening sequence in which Sylvester McCoy reprised his role as the Seventh Doctor (a BBC suggestion that Tom Baker - by far the best-known Doctor in the USA - be featured instead was firmly rejected by Segal). The Master returned as the main villain (Terry Nation was not keen to let the Daleks be used, although they are referenced), now played by well-known American actor Eric Roberts. Paul McGann in recent publicity photos for the Doctor Who audio range. The TV movie was broadcast in the UK and USA in May 1996. In the United States the reception was underwhelming, with disappointing viewing figures. The UK transmission was altogether more successful, with more than 9 million viewers tuning in (to the BBC's surprise). Critically, the production was criticised for being too 'Americanised' and Eric Roberts's performance as the Master was particularly savaged. The suggestion that the Doctor was half-human was also roundly condemned by the fandom (and later flatly rejected by the new series). 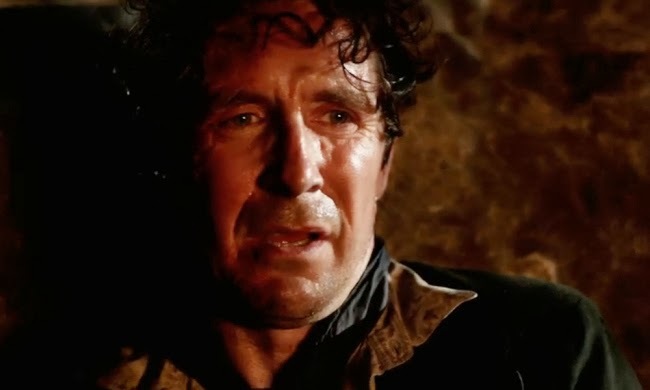 However, the continuity nods to the UK series, the use of Sylvester McCoy, the set design of the TARDIS and, above everything else, Paul McGann's performance as the Doctor were all extremely well-received by the fans. The transmission of the new TV movie, combined with the sad death of Third Doctor Jon Pertwee just a few days earlier, resulted in a resurgence of interest in Doctor Who. When Fox dropped plans for a follow-up series, the BBC began exploring options to remounting the series by themselves. Ultimately, this took a lot longer than they expected but did eventually result in the show returning to the screens in March 2005. Russell T. Davies, the producer who resurrected the show, chose not to retain McGann, instead preferring with a clean slate with a new Doctor. Whilst he only appeared on-screen once, McGann remained (and remains) an enthusiastic supporter of the series and his role in it. 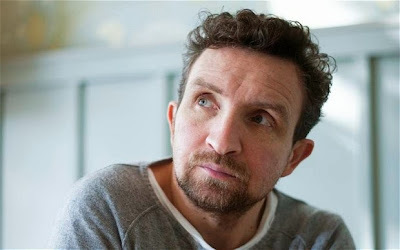 From 1996 to 2012 he appeared in 66 audio dramas and radio plays for Big Finish and the BBC, whilst BBC Books published 73 novels in the Eighth Doctor Adventures range (which follows up Virgin Publishing's The New Adventures) between 1996 and 2005. There is a notable continuity gap involving the Eighth Doctor: he is the only Doctor we have not seen regenerate on-screen (arguably excepting the Second/Third Doctor transition, though the immediate aftermath was depicted), nor the reasons for it given. 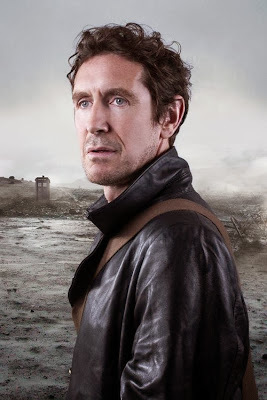 Fan speculation is that it was the Eighth Doctor who fought in the Time War against the Daleks, and regenerated into the Ninth Doctor (Christopher Eccleston) at its conclusion. However, the forthcoming 50th Anniversary special (which McGann will not appear in) will apparently reveal this was more complicated than previously thought. The Eighth Doctor just before his regeneration into the 'War Doctor'. Update: On 14 November 2013, the BBC released a special 'webisode' promoting the 50th anniversary special, Day of the Doctor. The webside unexpectedly featured the return of Paul McGann as the Eighth Doctor and depicted his regeneration into the unnumbered 'War Doctor' played by John Hurt. The Eighth Doctor was severely wounded whilst on a spacecraft that crashed into the surface of Karn, a planet in the same system as Gallifrey. The Eighth would have died instantly, but his life was prolonged by the enigmatic Sisterhood of Karn, who allowed him to choose the form of his next regeneration. The Eighth Doctor decided that his decision to remain aloof from the nascent Time War had been wrong, and chose the form of a 'warrior'. He regenerated into this form, which is not formally counted as one of the 'Doctor's incarnations because of his warlike nature. 1962. The Cold War is at its height. In great secrecy, President John F. Kennedy has ordered the founding of the Bureau of Operations and Command, code-named XCOM, which will coordinate the defence of the American homeland in case of a Soviet invasion. When Earth instead falls under clandestine attack by alien forces, XCOM's brief is changed to defend against the incursions. CIA Special Agent William Carter is recruited by XCOM as the alien attacks intensify and has to lead the fight back. The Bureau is a prequel to the critically-acclaimed 2012 turn-based strategy game XCOM: Enemy Unknown. 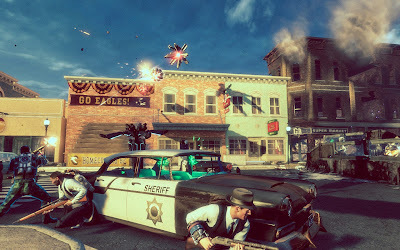 Unlike that game, The Bureau is a real-time action game played in third person, with emphasis on shooting from cover. You command a squad of three soldiers (one of them is always Agent Carter) who are each equipped with different weapons and powers to be used against the alien threat. At the start of the game you are using contemporary weapons, but as the game goes on you can recover alien weapons and turn them against their creators. The Bureau had a rocky road to release. Begun in 2007 as a fresh reboot of the XCOM franchise, development was shared between 2K Marin and Australia. The vision for the game shifted repeatedly. The original 2010 E3 demo showed a tense, claustrophobic game based around investigation and gathering evidence of alien incursions. It was more like the X-Files and appeared to be a highly original and experimental direction to take the series in. However, it appeared to have nothing to do whatsoever with the existing XCOM franchise. The developers didn't exactly endear themselves to fans by declaring that strategy games were dead. Astonishingly, the developers of The Bureau did not know about Firaxis's Enemy Unknown game until it was revealed to the general public in early 2012, and that game's enormous critical and sales success left their more traditional (and moribund) action-shooter looking rather unnecessary. 2K seemed to agree. The game was transformed into an action shooter clone of the Mass Effect games, had some of the traditional XCOM aliens shoe-horned into it and a narrative link to Enemy Unknown rammed into its ending that is quite astonishingly unconvincing. 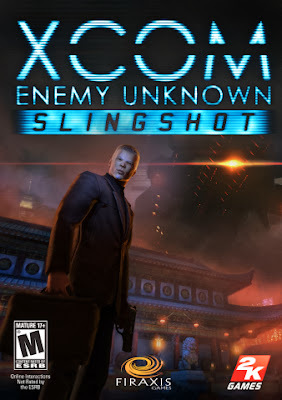 Literally days after ushering The Bureau out of the door in August 2013, 2K announced an expansion for Enemy Unknown named Enemy Within and seemed to do everything they could to make people forget about The Bureau, including firing most of the people that worked on it. All of this context might lead you to be expecting a truly terrible game. In fact, The Bureau is an enjoyable, competently-executed cover-based shooter with some really nice tactical options. The storyline and characters are - mostly - forgettable, but there's some great ideas going on here. Recruiting new troops and sending them on missions you can't attend yourself is a great idea (and one that could be transferred to Enemy Unknown, which suffered plausibility issues by always having the aliens attack three targets simultaneously) and the levelling stuff is a good way of differentiating characters. There is permadeath as well, although the game's use of checkpoints and quick-loads means it's easier to avoid than in Enemy Unknown. In-battle powers are chunky and satisfying, and towards the end of the game you find yourself assessing the battlefield, deploying drones and turrets and giving orders to your team-mates as much as you are firing plasma rifles. Combat may be ripped from the Mass Effect series, but frankly it's handled better. The last few missions in particular have some epic and memorable firefights. There's some great attention to period detail, with 1962 America brought vividly to life through music, architecture, cars, aircraft and so on. This version of XCOM's Skyranger being a 1960s transport helicopter is a cool idea, and rather than having tons of Interceptors you have just the one experimental flying saucer which plays a big role at the end of the game. On the negative side of things, there's way too much physically running around the badly-designed base and the story and characters never really gel. Dialogue is irritating as characters you can speak to have word balloons above their head, but these don't vanish or change colour to confirm you've spoken to them. This means it's impossible to tell when you need to speak to someone again to get new information without talking to every single character between missions, which gets old very quickly. That said, there is a really, really good story twist in the last couple of missions. If you keep a close eye on what's going on you can see it coming, but it's still a well-executed plot twist that hints at greater narrative strengths than the game ever really engages with. The attempts to tie in the plot with Enemy Unknown are also interesting, but ultimately unrealistic. The plot hinges on the alien invasion - complete with Washington, DC being attacked, Chicago being burned to the ground and dozens of multi-kilometre alien towers being built across the country - being completely covered up by the American government so the alien attack in Enemy Unknown still comes as a surprise, but this is ludicrously unconvincing. 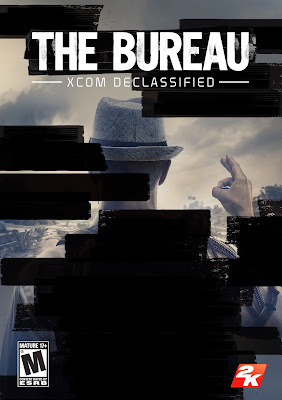 Still, The Bureau (***½) may struggle to be a good XCOM game, but judged purely on its own merits it is a competent, entertaining shooter with some great combat and a decent length (clocking in at about 15 hours for the single-player campaign), and definitely a lot better than its lengthy development and its mistreatment by its publishers suggests it should be. Recommended, but preferably as a budget release. The game is available now in the UK (PC, X-Box 360, PlayStation 3) and USA (PC, X-Box 360, PlayStation 3). It's the hottest summer on record and Britain is infested with an invasion of ladybirds. A young man named David takes up a job at seaside holiday resort in Skegness, keen to escape the future mapped out for him by his stepfather. His choice of Skegness is informed by the fact that this was the last place visited by his real father before his disappearance. David is caught in a bizarre love triangle whilst he is visited by disturbing visions of a man on the beach, and Britain is caught on the cusp of a new era. 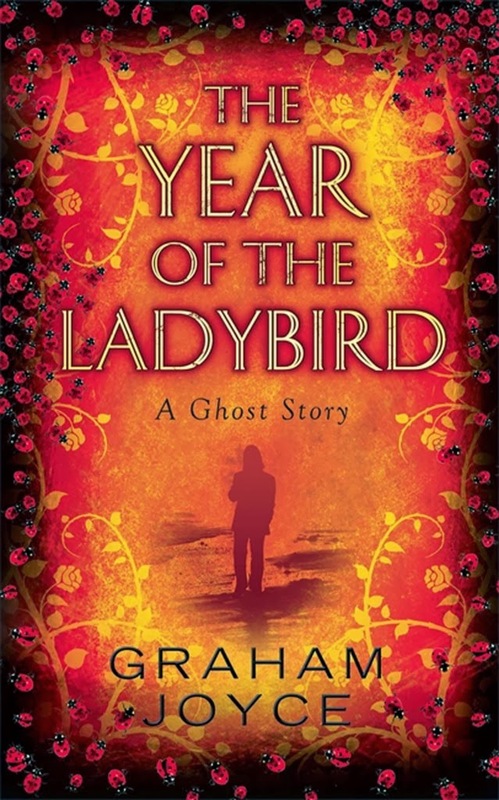 The Year of the Ladybird is the latest novel by Graham Joyce. I've read two of his previous novels, The Tooth Fairy and The Silent Land, and both were haunting, well-written and deeply atmospheric works which provided much food for thought. The Year of the Ladybird shares some of the strong points of these novels but ultimately is not quite as effective a book. Early chapters see David arrive at the holiday camp and take up his duties, which are described in considerable detail. Like his publisher-mate Christopher Priest, Joyce has the knack of taking the mundane and making it interesting, through clever prose or by imbuing the ordinary with the hint of the extraordinary. 1976 was a year of great social change in the UK, with an explosion in popularity of the white supremacist National Front party and the country in economic turmoil, with the arrival of punk music (and the associated changes in British culture that would come with it) just around the corner. Combined with the remarkable heatwave of that year and the ladybird invasion, this gives Joyce a great setting for a book about a young man trying to come to terms with himself and his own past. However, the novel is highly restrained and David is fairly reactive as a protagonist. His bizarre encounters with a strange man on the beach are disturbingly-written, but ultimately David shrugs them off and gets on with his life. His romantic dalliances (with a married woman who isn't what she appears to be, and later a much healthier relationship with one of his female co-workers) form much of the spine of the book, but are not imbued with much drama. A misunderstanding which leads David to accidentally attend a National Front meeting at a pub appears to start a new plot thread, which again just tails off. There is a moment of revelation at the end, but it is fairly straightforward. The result is a slight novel that doesn't really seem to be about anything, but has more going on than first appears. As an evocation of a particular point in Britain's history, the book is highly successful. David's characterisation seems under-cooked, but the surrounding cast are memorable and varied. The minutiae of holiday camp life is both humorous and nostalgic. The prose is restrained and elegant. The fantasy elements are very lightly added (to the point that it's highly debatable if this is in any way a fantasy book at all) but work well when they are evoked. 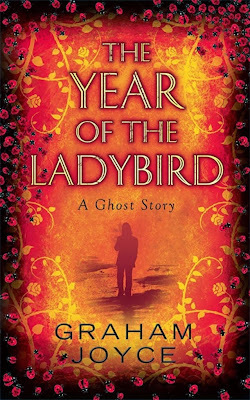 The Year of the Ladybird (****) is a quiet, slight, evocative novel. It is a well-written snapshot of a particular moment in time and works very well on that basis. Those looking for something more plot-driven would be advised to look elsewhere, however. The novel is available now in the UK and USA. The Radio Times has posted publicity pictures of An Adventure in Space and Time, a one-off TV drama about the commissioning and creation of Doctor Who in 1963. The drama stars David Bradley (Harry Potter, Game of Thrones) as William Hartnell (who played the First Doctor) and is currently expected to air on Friday, 22 November, the day before the show's 50th anniversary. 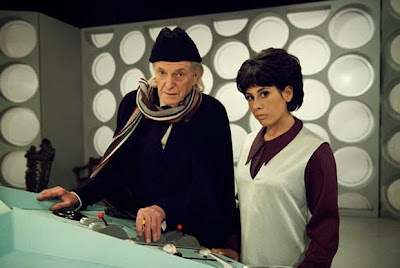 David Bradley as William Hartnell (the First Doctor) and Claudia Grant as Carole Ann Ford (Susan), on a faithful recreation of the original TARDIS set. The drama also stars Jemma Power as Jacqueline Hill, Jamie Glover as William Russell, Claudia Grant as Carole Ann Ford, Sacha Dhawan as Waris Hussein, Jessica Raine as Verity Lambert, Sarah Winter as Delia Derbyshire, Nicholas Briggs as Peter Hawkins, and Brian Cox as Sydney Newman. The real William Russell and Carole Ann Ford also have cameo appearances, whilst Reece Shearsmith will play the then-future Second Doctor, Patrick Troughton (who was a friend and colleague of Hartnell's, and was recommended by Hartnell to be his replacement). More than seven months after being forced to flee Herschel's farm, Rick Grimes and the group he leads are tired, ragged and badly in need of shelter and a place to relax. Stumbling across an abandoned prison, they set about clearing it of walkers and turning it into a base of operations. Meanwhile, Andrea, separated from the rest of the group, has hooked up with a sword-wielding loner named Michonne (who uses 'neutralised' walkers - with their arms and jaws removed - to carry supplies). They find an apparent safe haven in the town of Woodbury, run by the apparently well-meaning 'Governor'. But it isn't long before Rick's group and the Governor's followers run into one another, setting the scene for a major confrontation and testing the loyalties of those in both groups. The Walking Dead is a contradictory series. On the one hand, it's often compulsive viewing. It's more ruthless to its characters even than Game of Thrones and Lost (the latter of which it is beginning to resemble more and more) and the show puts a pleasing emphasis on taking common sense precautions against the zombie threat (although it's not above using individual moments of implausible stupidity for dramatic gain). On the other, it often promises more than it delivers and the first two seasons both had a tendency to deploy filler material. The third season is an attempt to tackle these issues and play to the strengths of the premise whilst not getting bogged down so much. Unfortunately, this was sabotaged from the get-go by AMC's demand that the season be extended to sixteen episodes, which turns out to be about four too long. The series starts off promisingly. The delayed discovery of the prison (which we saw in the final shot of Season 2 close to Rick's group but it's taken seven months of them going round in circles to get back to it) and the need to clear it out provides a lot of dramatic impetus in the early episodes. Splitting the group, getting Andrea and Michonne to Woodbury and a dramatic reunion with a missing former member of their group all provide strong storytelling opportunities. The introduction of the Governor, played with relish by David Morrissey, is well-handled and giving Rick a nemesis and someone to bounce off is a great idea. 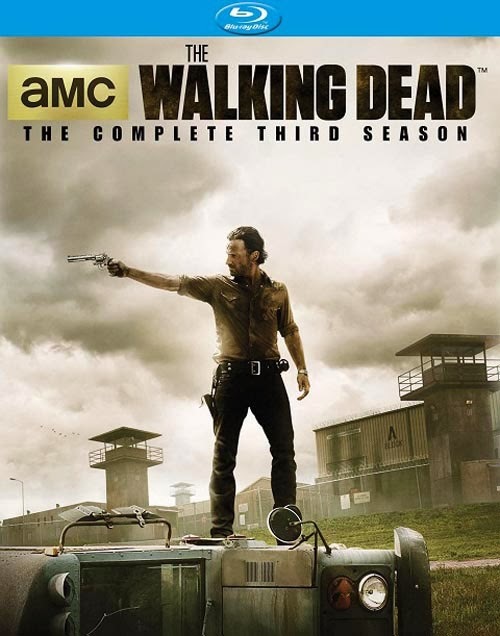 The first half of the season is indeed The Walking Dead at its best, featuring some rich scenes of character development and even some satisfying action scenes (even if the ease with which walkers are now being dispatched compared to earlier seasons is starting to get a little silly). Things deteriorate rapidly in the second half. Some rather bizarre wheel-spinning kicks in and we get a face-to-face confrontation between Rick and the Governor which really doesn't do anything, as well a completely pointless episode featuring two characters playing cat-and-mouse in an abandoned warehouse. As more excuses are found to delay the big finale battle, things get less and less plausible until scenes that were supposed to be powerfully tragic become instead rather comical. There's also less focus on the day-to-day details of living with the walker threat; in the final episode people are casually leaving gates open and walking past biters without too much care. The second half of the season does retain some dramatic highlights, such as Carl Grimes graduating from 'pointlessly hanging-around kid' to 'PTSD-suffering child soldier' and the intriguing arrival of Tyreese (played by The Wire's Chad Coleman), but it's a far cry from the opening half. Ultimately, the third season of The Walking Dead (****) is watchable, entertaining and features some very strong dramatic scenes and elements in its first half. The second half is more disappointing, featuring significant lapses in plot logic and characterisation. If anything, whilst the second season (which was a little too static) benefited a lot from being viewed in rapid-fire on Blu-Ray, the third season suffers, with the longueurs in the second half being far more incongruous than if viewed from week to week. The season is available now in the UK (DVD, Blu-Ray) and USA (DVD, Blu-Ray). Mahala teeters on the brink of chaos. Private investigator and secret pain mage Rojan Dizon has halted a great evil that was being undertaken in the bowels of the city, but in the process has put the way of life for hundreds of thousands of people in jeopardy. The neighbouring kingdoms are threatening war, the city is weeks away from losing all power and the new Archdeacon finds his position under threat. Dizon, now wearing a different face and name, finds his work cut out for him if he wants to put things right. 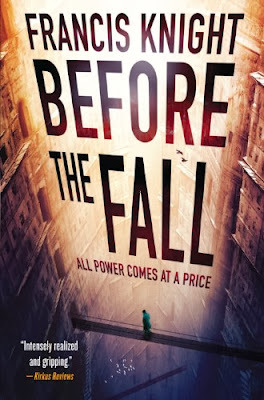 Before the Fall is the second novel in the Rozan Dijon trilogy, picking up shortly after the events of Fade to Black and exploring the consequences of events in that novel. 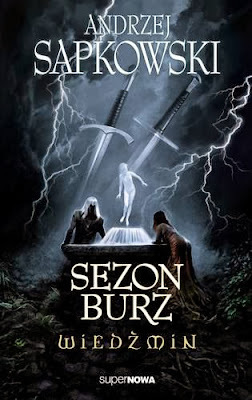 I found the first novel in this trilogy to be enjoyable but suffering from some of the problems typically associated with debut novels: inconsistent characterisation and worldbuilding, and a general lack of polish. Before the Fall is, happily, a more coherent and tighter novel. There is much less reliance on eyebrow-raising coincidences, the background is more sharply defined and the novel helps to fix some of the issues from the first, doing a better job of exploring the dichotomy between the city's official line that there is nothing 'outside' the city but people knowing a fair bit about their neighbouring powers. The novel spends a lot of time examining the consequences of the first book, or what happens after the 'happy ending'. The consequences from Fade to Black are messy, complex and there are no easy answers. Dizon, having played the hero in the first book, finds himself now saddled with the responsibility for these issues and runs himself ragged trying to deal with everything, from a project to provide fresh power for the city to social unrest from the reintroduction of a previously exiled underclass to the city. The fact there are also religious and political forces in opposition to Dizon's operations adds an additional layer of complexity to the plot. Rather than buckling under the weight of the narrative, Knight is able to tie it into a fairly satisfying whole. Dizon rises to the occasion as a self-appointed administrator and troubleshooter and there is a bit less of the blundering around like a bull in a china shop that was his preferred tactic in the first book (at least until the end, which this tendency reappears). He is certainly a more mature and more interesting character this time around. However, some of the supporting cast - most notably Jake - fade into the background in this volume. There are some satisfying plot twists, rather than the more implausible ones of the first book, but a few issues remain. The ending feels a bit rushed and Dizon doesn't really resolve things through planning and intelligence but through blind luck, so the ending retains an element of being contrived. I'd like to see Dizon having more agency in actually figuring out how to resolve things intelligently next time around. There's also the over-use of a form of 'kryptonite' discovered in the previous novel which can neutralise mages easily and suddenly all of the bad guys very conveniently have access to lots of it. Before the Fall (***½) is a big improvement on the previous novel, but still arguably fails to reach its full potential. 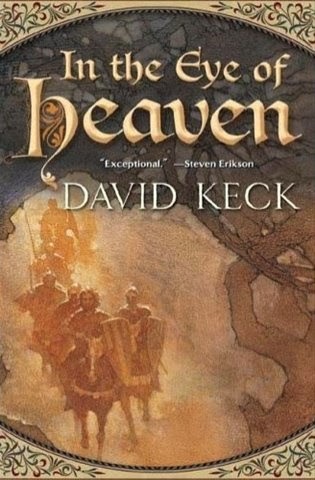 However, it is still an enjoyable fantasy novel set against a striking backdrop. It is available now in the UK and USA. The concluding volume, Last to Rise, is published next month. Canadian fantasy author David Keck has given an update on his long-delayed third fantasy novel, The King in Cobwebs, the conclusion of the Durand Col trilogy. Keck published his debut novel, In the Eye of Heaven, in 2006. It was followed by In a Time of Treason in 2008. The third volume has been repeatedly delayed with updates relatively few and far between. The new update reveals that Keck is polishing off the first draft now, and will begin editing shortly afterwards. How long these edits will take is unclear, and there is still no final publication date. However, it is major step towards completion and publication. The Jonathan Strange and Mr. Norrell TV mini-series enters production in a month or so, and has now announced the casting of its two main stars. Bertie Carvel is noted actor on stage and in musicals. He has won the Olivier Award and been nominated for a Tony Award. On TV he has appeared in Doctor Who, Sherlock and the John Adams mini-series for HBO. He will be playing Jonathan Strange, Mr. Norrell's student in magic who soon becomes a powerful magician in his own right after a falling-out with his former mentor. Eddie Marsan is a veteran British actor of stage and screen. He most recently appeared in The World's End alongside Simon Pegg and Nick Frost. Prior to that he was the main villain in Will Smith vehicle Hancock and had a supporting role as Inspector Lestrade as Guy Ritchie's Sherlock Holmes movies. He has also appeared in Gangs of New York, Mission: Impossible III and V For Vendetta. He will be playing Mr. Norrell, the only working magician in Britain. He takes Jonathan Strange under his wing and then both are called upon to help Britain's ongoing war with Napoleon. The BBC's adaptation of Susanna Clarke's novel will be filmed in Leeds, Montreal and Venice, and should air before the end of 2014. It will consist of seven hour-long episodes. Scott Lynch chews the fat with Suvudu over The Lies of Locke Lamora, Red Seas Under Red Skies and The Republic of Thieves, as well as dropping some big hints as to where the series goes next. Filming has started on Outlander, the TV adaptation of Diana Gabaldon's novel series of the same name. Showrunner Ron D. Moore and Gabaldon appeared at New York Comic-Con this weekend to talk about the series and how they envisage the project unfolding. The good news for fans is that the show is staying true to the books: Claire's home time period is still WWII, not the present day (which would have seemed an obvious change to make) and the plot unfolds much as in the first novel, Outlander (retitled Cross Stitch in the UK for no readily apparent reason). 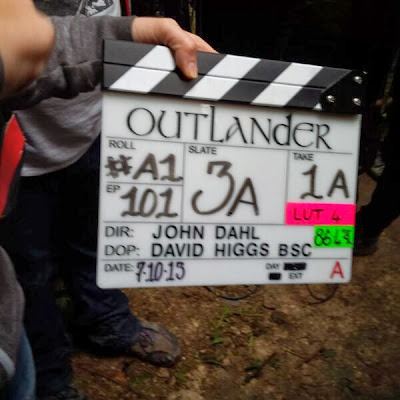 Some characters, like Tobias Menzies' Black Jack, will have more screentime in the TV series than in the novel, but beyond that the adaptation will be faithful. Moore said he had no interest in 'rebooting' the basic concept like he did with the 'new' (or 'newer', we should say now) Battlestar Galactica, which is about to celebrate its tenth anniversary. The first season of Outlander, which will be 16 episodes long, will air on Starz in 2014. Slingshot is a DLC - or minor expansion - for last year's hugely successful turn-based strategy game, XCOM: Enemy Unknown. It shouldn't be confused with the absolutely massive and far more significant expansion, Enemy Within, out in November. Slingshot is an altogether modest, though far from pointless, affair. On console it will also be included with Enemy Within should you wish to wait for that release. Slingshot makes a number of modest changes to a game of XCOM. 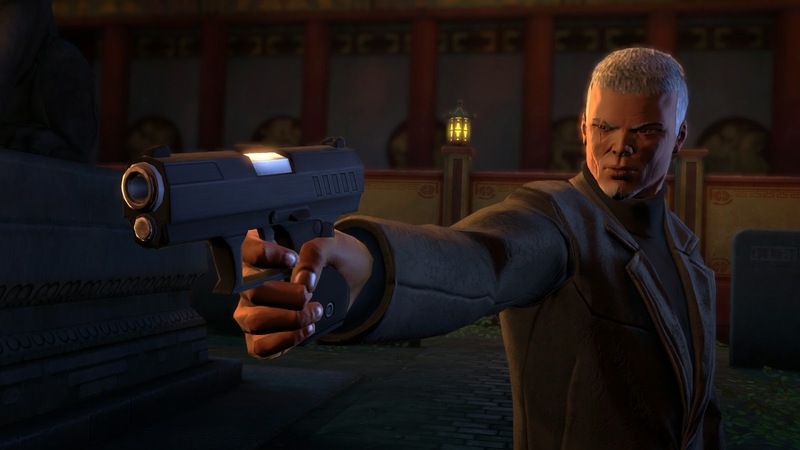 It gives you a new character, a former Triad operative who quickly becomes a Lieutenant in your organisation. Starting a new game with Slingshot installed sees you get this character quite quickly, which can accelerate early-game progression. This has good and bad points. On the good point, you'll get him promoted (and thus access to the six-man squad upgrade) much earlier than normal. On the bad side, having a character of his level in your squad will also trigger the arrival of mid-game bad guys earlier than you normally would encounter them, which can cause a steep challenge if the new character is then injured or killed and has to sit out missions. As well as a new character, there are also three new narrative missions. These missions see you taking down an alien battleship which is about to attack China. In the first mission you have to extract the new character and his intel on the alien ship. In the second, you have to install an alien homing device on a train to lure the ship into an ambush, and in the final one you have to storm the alien ship and capture it. This results in a significant early-game boost to XCOM's acquisition of new technology. It's all good stuff and can have a discernible impact on an XCOM playthrough. In particular, the much earlier unlocking of alloy rifles and other high-level weaponry (which usually are unlocked too late to make any major impact on a campaign) can make a big difference in how the endgame plays out. For a modest cost, Slingshot (***½) does add some nice new features to an XCOM replay, though its feature set (but also the price) is dwarfed by the incoming changes from Enemy Within. For those who are already addicted to the game, Slingshot adds some welcome replayability. Note: Slingshot is included as part of Enemy Within, so do not try to purchase this is you already have Enemy Within! It's the group's third year at Greendale Community College and once again their attempts to get good grades are threatened by their flamboyant Dean, the mentally unstable Chang (now unwisely made part of the college's security force) and a new threat in the form of Vice Dean Laybourne, head of the Air Conditioning Repair Annex, who now seeks to take control of the college for himself. After the second season of Community, which featured an overload of classic, high-concept episodes and an internal battle between the other members of the group and Pierce, it was unclear which direction the third season would go in. For the first couple of episodes, it's clear the producers don't either. The addition of John Goodman (as Laybourne) and Michel K. Williams as Professor Kane are good starts, but it's not until the third episode, Remedial Chaos Theory, that the show hits its former stride again. The Emmy and Hugo-nominated episode, which revisits the same events in six different timelines and cleverly comments on each character's place in the group in the process, is flat-out hilarious as well as being clever, and sets up a couple of recurring elements that are periodically revisited throughout the year. However, despite this early high point, the third season remains patchy. The decision to tone Pierce down this season results in his near-total absence from many episodes. Without him in an adversarial role, the writers seem to struggle to find something plausible for him each week without him falling back on his traditional (and now rather tired) homophobia and casual racism. There is a potentially promising storyline when Pierce's ancient and even more horrific father arrives in town, allowing the writers to show how the group has made Pierce (relatively) more tolerant and understanding, but even this is under-explored. In the meantime, we have yet more adventures with Chang being insane, which is getting old. Ken Jeong is funny enough that this - more or less - works, but you can't help feeling it's a bit of a cheap stand-by. Even worse is the decision to make Dean Pelton a regular character. This results in a lot of running gags and very broad comedy based around the fact that the Dean is gay, which feels odd for a series that spends so much time trying to avoid cliches. Having said that, the Dean's battle with his nemesis Laybourne does give the season a dramatic spine and a sense of direction. Elsewhere, the performances of the regulars remain superb, individual gags are often hilarious and, after taking a back seat in Season 2, character development moves to the fore, with the show concentrating on Abed as an actual character than an ongoing commentary on what's happening in each episode. Annie, Shirley, Troy and Jeff also get good moments of character evolution throughout the season. On the flipside of that, Britta fares poorly, with the slight turn she took into 'dumb blonde' territory in Season 2 now turning into a full-scale character regression (so overt that it's even lampshaded at one point). It's a shame that a character who was an essential foil for Jeff in the first two seasons is now being treated as a hate figure by almost everyone. In terms of the episodes, Remedial Chaos Theory is the undeniable high point, but other episodes are strong. Horror Fiction in Seven Spooky Steps, in which the gang tell horror stories (so Britta can try to work out which of them is a sociopath-in-the-making) is extremely amusing, especially Abed's remorselessly sensible and logical take on a horror movie narrative. The Ken Burns-influenced mid-season two-parter, which presents an epic blanket fort vs pillow fort war fought across the whole college (complete with detailed, animated maps of the battle lines and commentary from those involved), is another instant classic. Basic Lupine Urology isn't just a great episode, but also a phenomenal mickey-take of the Law and Order franchise (and Michael K. Williams gets to make a few references to his former role as Omar on The Wire, which takes place in the same fictional universe). Curriculum Unavailable tries to recast the events of the entire series with the study group being inmates at a mental institution, a successful satire of unconvincing 'plot twists' in long-running series. Digital Estate Planning, which forces the group to play an 8-bit video game, is almost as good as Remedial, with the video game being used to expose both rifts in the group (not to mention the Christian Shirley's suppressed homicidal streak) and encourage their cooperation as well. Against this, there's probably a few too many episodes centred around the Dean and Chang, whose broad characterisations don't lend themselves too well to central roles in an ongoing series. There's also the feeling that Community's meta-awareness and commitment to avoiding cliche is too often turned into distinct smugness at its own cleverness. This is most notable in the first few episodes, before it calms down and just gets on with having fun again. 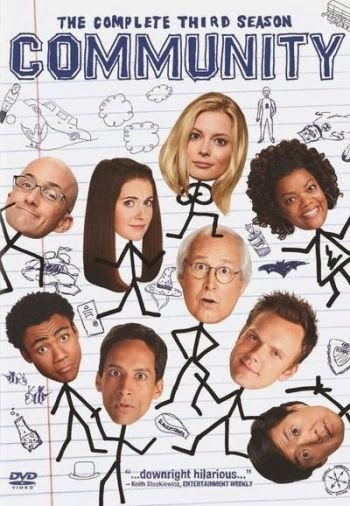 After the third season, Community wouldn't quite be the same again. Showrunner Dan Harmon was taken off the show for the fourth season (though he would return for the fifth) and Chevy Chase would depart in the following year. The third season of Community (****) is relentlessly entertaining, very funny and often very clever. Where it falls down is not matching it own very high standards and occasionally getting too tangled up in its own desire to be funny whilst avoiding stereotypes, whilst not always having anything new or interesting for the characters to do (particularly Britta, Pierce, Chang and the Dean). But ultimately this is still one of the funniest shows on the air. The season is available on DVD in the UK and USA. The city of Mahala is located in an enclosed pass, the city built up the sides of the mountains over hundreds of years. Ravaged by plague, magical chaos and religious discord, the city is barely ticking over, relying on the mysterious substance 'Glow' to power its machines. Rojan Dizon, a private investigator and secret mage, is forced to go deep into the underworld to find his missing niece, but what he will find there will transform the future of the city. Fade to Black is the debut novel by Francis Knight and the first in the Rojan Dizon trilogy, which continues in Before the Fall (out now) and Last to Rise (out in November). It mixes elements of 'magepunk', steampunk and urban fantasy to create something that could be new and innovative, but which fails to fulfil its full potential. Which is not to say that the book isn't fun along the way. The novel uses a mixture of fairly familiar archetypes for its characters, from Rojan himself (hard-boiled mage detective, useless at relationships or managing money, lives for one-night stands and occasional alcoholic over-indulgences) to Jake (ice-queen warrior with trust issues) to, well, everyone really. However, the author gives the characters enough depth and backstory to make them convincing, even if they often remain familiar. The book makes much of its setting (not least on the impressive cover), a vast vertical city built in a narrow mountain canyon. Mahala isn't exactly the next Ankh-Morpork or New Crobuzon as far as iconic fantasy cities go, but it serves reasonably well, with effective descriptions of vertiginous drops, seedy bars and cramped shops. The worldbuilding is interesting, if at times confused: characters are simultaneously told that there is nothing interesting outside the city, but also retain a fairly detailed knowledge of the neighbouring kingdoms and their economic dependency on Mahala. This is a contradiction which Knight satisfyingly ties up in the sequel, but in this first volume just seems confused. What works better is the magic system, which is based around the application of pain. The way magic works seems logical and well thought-through, with some interesting applications that become clearer (and more disturbing) in the latter half of the novel. Where the novel threatens to unravel completely is the completely over-the-top ending, in which plot revelations that would be acceptable in isolation are stacked on top of other, more ludicrous and cliched revelations until the whole thing teeters on the edge of collapse. 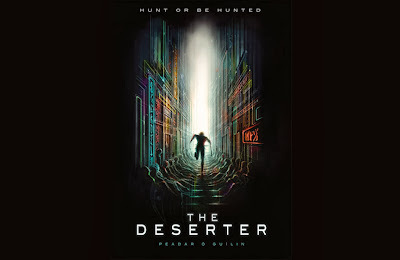 It's only Knight's skill in getting through the plot twist overload and establishing a potentially strong new set-up at the end of the novel that leaves the reader with hope that future books won't be quite so implausible. Fortunately, a third of the way through the sequel, it does appear that Knight's writing skills have improved between the two books. 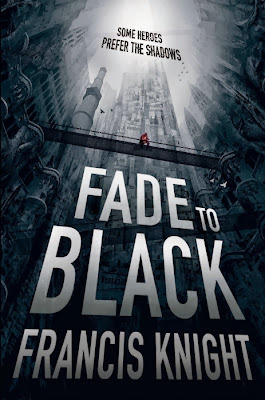 Fade to Black (***) mixes potentially strong and fascinating ideas with occasionally dubious execution and the employment of a few too many fantasy stand-bys. The ending borders on the silly, but the author just about manages to hold everything together to deliver a fast-paced, enjoyable read (if you don't think about it too much). It is available now in the UK and USA. At a press conference earlier today, the BBC confirmed that nine previously-missing episodes of Doctor Who have been found and returned. The episodes will be available on iTunes from tomorrow. An embargo was put in place until midnight tonight, but The Northern Echo and everyone and their dog on Twitter have broken that already. 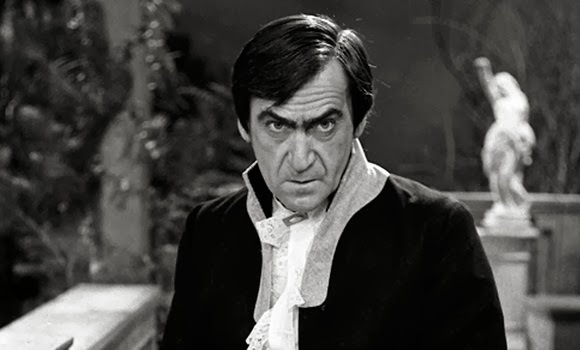 The Enemy of the World is notable for a dual performance by Patrick Troughton, who plays both the Doctor and the main villain of the serial, Salamander. It is noted as one of the late Troughton's favourite stories. As related previously, the BBC destroyed numerous episodes of the series - and many others - in the 1970s to free up storage space and also for recycling purposes. Thanks to the diligence of Doctor Who fans and investigators, copies of more than forty destroyed episodes have been recovered from overseas broadcasters since then. However, as of yesterday 106 episodes officially remained missing, with 27 stories from the first six seasons affected and 10 stories completely missing. This latest find consists of Episodes 2, 4, 5 and 6 of The Web of Fear and Episodes 1, 2, 4, 5 and 6 of The Enemy of the World, the immediately preceding story. Both stories aired as part of Doctor Who's fifth season, airing in 1967-68, and both starred Patrick Troughton as the Second Doctor. When combined with the episodes already in the archives, The Enemy of the World is now fully complete and The Web of Fear is only missing one episode (its third). The BBC has mounted a reconstruction of the missing episode using still photographs and the episode's soundtrack, which has survived. The find is hugely significant: in the past 25 years, only eight episodes of Doctor Who have been recovered. The largest number recovered at once in that time was four, when Tomb of the Cybermen was fully recovered from Hong Kong in 1992. 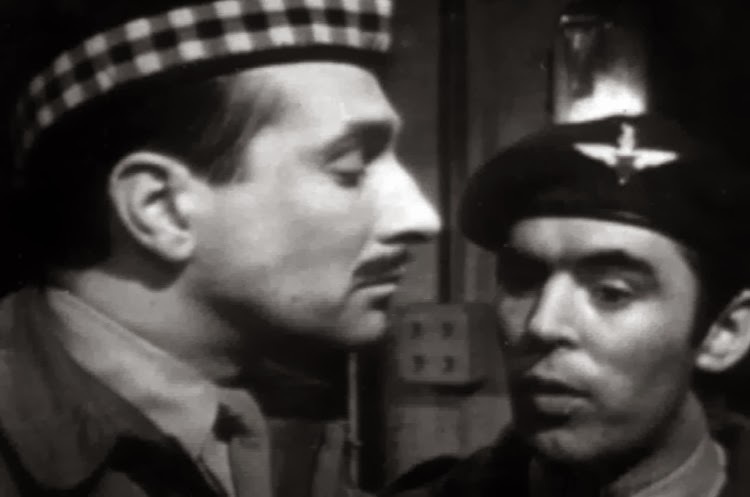 The Web of Fear introduced the character of Colonel Alastair Lethbridge-Stewart, played by Nicholas Courtney. Later promoted to Brigadier and placed in command of UNIT, he would become Doctor Who's longest-running recurring character. However, fans were hoping for a larger number: for almost three years now, rumours have circulated about a very large cache of episodes located in Africa, with the most frequently-bandied about number being an eyebrow-raising 90. Several news sites and forums have been chasing rumours ranging from the plausible (the BBC wanted to restore and check the episodes before releasing any news officially) to the highly ludicrous (the person holding the tapes refused to hand them over unless Steven Moffat, Doctor Who's controversial showrunner, is fired). The quotes produced by the Northern Echo from the press conference do not make reference to there being more episodes than these nine, but Tweets from those attending hint that further announcements may be to come. For now, however, the official, confirmed news is that nine episodes of Doctor Who have been returned just in time for the 50th anniversary, leaving 97 unaccounted for. More to come when the BBC release their official statement in full at midnight GMT. Breq is an ancillary, an animated corpse possessed by the controlling intelligence of a vast starship, the Justice of Toren. The Justice was destroyed more than twenty years ago, with Breq as the sole survivor and the only person to hold a secret that could tear the interstellar empire known as the Radch apart. Breq, now driven by grief and vengeance, goes in search of the only weapon that can accomplish her goal. Ancillary Justice is the debut novel by American author Ann Leckie, who has already established herself as a writer of short stories. It's an interesting SF novel which riffs on a whole load of ideas. The most striking is the one of identity. Breq is a tiny, splintered part of a much vaster, destroyed intelligence and has difficulties in relating to other people and the world around her. She's also effectively possessing a dead body and suffers from a cultural bias. The Radchaai do not believe in gender differentiation and go to some lengths to keep their gender unclear. The culture defaults to describing everyone in the feminine, resulting in odd moments when a character you've spent a dozen pages mentally picturing as female actually turns out to be male. This playing around with gender roles is not new - Ursula Le Guin did it rather more literally in The Left Hand of Darkness more than forty years ago - but it's something that relatively few SF authors have dealt with before and forces the reader to confront their own biases. Those looking for in-depth worldbuilding and explanations for this SF universe will be left disappointed. There's little information on the amazingly powerful armour that protects the Radchaai, nor much on how their ships work. FTL travel gets relatively short shrift, and the only hint as to the fate of Earth is a single line about how it's a remote backwater. There is a slight inconsistency in that the Radch's tech level, though impressive, appears to be reasonably believable until someone casually throws it out there that they've also built a Dyson sphere, which seems beyond their capabilities. I daresay that the inevitable future books in the series (yes, there will be at least two more) will reveal more, but in this volume the author is focusing more on the immediate story at hand. Structurally the book adopts a tried-and-tested technique of alternating between flashback chapters showing what happened to the Justice of Toren and why (and doing a good job of showing how massive events can unfold from the tiniest of causes), and events in the present day. Characterisation is reasonably strong, with Leckie showing how citizens of the Radch differ from one another whilst retaining the same cultural and religious traits. Breq herself is well-drawn, as the ship AIs in Leckie's setting are perfectly capable of having emotions and development (and indeed, Breq's actions are catalysed by what happens to one of her favourite crewmembers). Whilst a lot of reviews are drawing comparisons with Le Guin, I was also reminded of the works of Iain Banks, particularly in the idea of living ships with their own goals and motivations and how they work when placed in humanoid bodies. What Leckie shares with both authors is more of a fascination with the social sciences than the hard ones, and also a belief in storytelling that also challenges the reader. 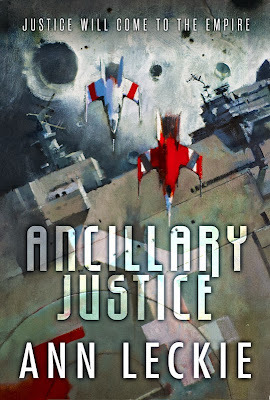 Ancillary Justice (****) is one of the most striking SF debuts of recent years. It's not perfect - the restrained prose sometimes risks stodginess and the opening chapters risk an almost Eriksonian level of confusion due to a lack of context for what the hell is going on (though this is still well-handled) - but ultimately the novel evolves into an intelligent take on gender roles and identity issues against a fascinating (if only hinted-at) SF backdrop. More please. The fate of two universes hang in the balance. The alternate Walter Bishop, Secretary for Defence, wants to destroy the prime universe to ensure the continued survival of his own. To this end he has imprisoned Olivia Dunham and set her alternate counterpart to infiltrate her team and help in this cause. Trapped in the parallel universe, Olivia needs to escape back to her own world. 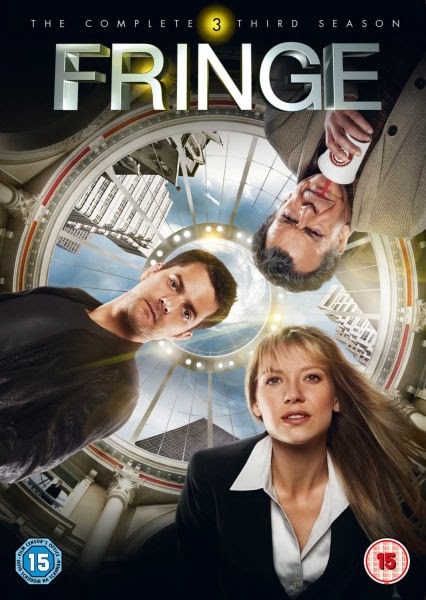 The third season of Fringe picks up shortly after the previous season's finale and establishes a new format. For the first few episodes of the season it alternates between the parallel universe and the prime one, with the opening title sequence changing colour depending on which is the focus of each episode. This is a smart move, establishing the parallel universe and its characters in more depth. The writers, directors and actors work extremely hard to ensure the alternate world is convincing, and by setting entire episodes there (even a stand-alone mystery episode) they manage to pull it off. The devil is in the details and these details - the still-standing twin towers, people keeping badgers as pets, sheep being extinct, everyone using bluetooth headsets, the Statue of Liberty still having its bronze covering - are finely-judged. The show does go through a mid-season patch when, with the opening situation rectified, it falls back on its more traditional mystery-of-the-week storylines. However, the show remains inventive and entertaining even when dealing with what might have easily descended into filler. An episode set in the parallel universe dealing with people who are consumed by parasites is Fringe at its most queasily effective; an episode featuring Walter bonding with an aged rock star played by Christopher Lloyd is both geek-pleasing and superbly-acted (John Noble, of course, is on top form throughout the season). Best of all in this set of episodes may be an instalment set in an apartment block gripped by strange events which appears to be a stand-alone case but eventually dovetails rather nicely into the main, ongoing storyline. Later episodes in the season take an unexpected turn for the predictable: a storyline where 'our' Olivia is possessed by another character strains even Fringe's elastic notions of credulity (despite Anna Torv's superb performance), whilst a regular character getting pregnant and thus causing drama may tax the patience of many viewers. However, there are upsides even to these storylines: the possession storyline leads to an episode that unfolds mostly in animation and is the show's craziest and most inventive hour to date, whilst the pregnancy storyline turns out to not quite be as critical as it initially appears. The concluding three-episode arc resolves the season-spanning story arc quite effectively, as well as negating a potentially cheesy background element and ending things on a startling cliffhanger that leaves the show able to make a fresh start in the fourth season. The third season of Fringe (****½) strains credulity a bit more than the second season and by the end has taken so many twists and turns you may regret not taking notes. However, the cast is as excellent as ever (Anna Torv stepping up to the plate with multiple versions of Olivia is particularly noteworthy), the plotting is assured and the show's mix of tragedy, action and light comedy is as satisfying as ever. The season is available now in the UK (DVD, Blu-Ray) and USA (DVD, Blu-Ray). Eidos Montreal have confirmed that they are working on a new Deus Ex video game, which will be the fourth in the series. They envisage several new games on several platforms falling under the umbrella title of Deus Ex Universe. First up a title for PC, PS4 and X-Box One which they will reveal more about in the near future. They also posted some concept art and said that 'trans-humanism segregation' will be a key theme of the game. In addition, Eidos will later this month launch a Director's Cut of their well-received 2011 game Deus Ex: Human Revolution. The game has been optimised to work with the Wii U's gamepad and its built-in screen, but will also be available on PC, X-Box 360 and PS3. The Director's Cut will fix the much-derided boss fights by allowing them to be completed in a variety of different ways (including stealth and hacking) instead of straight-up combat, with a number of other changes to enhance the gaming experience. Deus Ex: Human Revolution Director's Cut will be released on 22 October. No release date has been set for the new Deus Ex game. On his blog, R. Scott Bakker confirms he has completed the first draft of The Unholy Consult, the concluding volume of The Aspect-Emperor trilogy and the sixth book overall (of eight or nine, which remains to be confirmed) in The Second Apocalypse series. Extensive rewrites will now commence, with Bakker estimated that about a quarter of the book requires some attention. The current draft stands at 300,000 words, making it substantially longer than any other volume in the series (the previous-longest, The Warrior-Prophet, clocked in at 205,000). However that word count might come down in rewrites. Bakker also confirms that The Unholy Consult will effectively conclude the story arcs begun a decade ago in The Darkness That Comes Before, so that if the final sub-series is not written or published there may still be some sense of resolution in this volume (though I wonder if this is really the case). With rewrites and editing still to come, a publication date for the book is uncertain. Late 2014 would appear to be theoretically possible, but 2015 may be more likely at this time. In his comments Scott suggests a possibility of the book being split if the length does not come down significantly. Let us hope this is not the case.